The initial post in this series covered the reasons behind IEC 61439, which when followed ensures the quality of low voltage electric switchboards. Other posts how shown how the standard applies to testing of protection devices, creepage and clearance distances, and insulating materials. In this post, I’ll discuss the importance of short-circuit withstand strength and how to verify it, as specified in the standard. First, let’s cover the importance of short-circuit withstand strength. A short circuit can have serious consequences: property damage, injury and even loss of life. What’s more, a fire that results from a lack of short circuit safeguards can tie up firefighting resources. For instance, a blaze at a mall in New Delhi required nine fire tenders to bring under control. It was not worse in terms of loss of life because it happened at night. Now, a big fire may well have started with a small short circuit. That short circuit and the energy it released, in turn, could have caused other problems, such as conductors and insulators failing or collapsing due to heat or smoke. For a low-voltage electric switchboard, this means a loss of power availability. For a building which the switchboard services, it could mean a destructive fire. IEC 61439 minimizes the chance of that by, among other things, specifying short-circuit withstand strength tests and by detailing passing limits. According to section 10.11 of the standard, a goal is to avoid the danger to internal components as well as arc generation and propagation outside the switchboard. That is a crucial part of arc flash prevention. IEC 61439 breaks down the required withstand strength tests and limits according to the component type. It also ensures that the entire system meets the necessary withstand strength. The standard does this by specifying details regarding distances, materials and more – even for components as commonplace as the screws that hold everything together. Following the standard, then, means that the total assembly will have acceptable safety performance. As for component examples, consider busbars and their insulating support system. The standard states that both the main or horizontal, and distribution or vertical busbars shall withstand two short-circuit currents for three and one seconds, respectively, or 50kA for three seconds (50 kA / 3 s) and 85kA for one second (85kA/ 1 s). Naturally, it is better to exceed these limits. 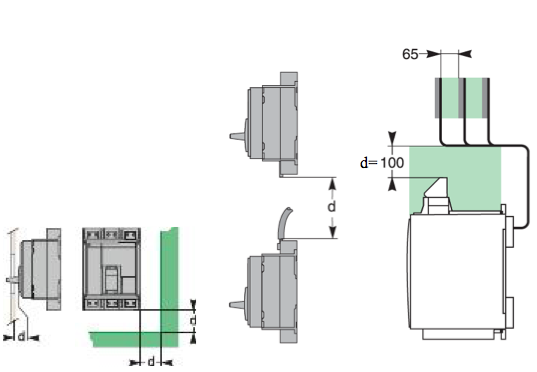 Schneider Electric’s Prisma, for example, can take up to 100 kA for a second. There also is a peak current withstand limit, which is 187 kA. 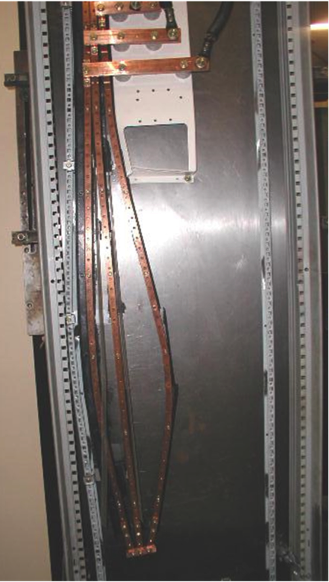 Busbars also must withstand a loss of service continuity fault test. A serious original manufacturer should have precise knowledge about the different component parameters that can affect performance. This can be the mechanical withstand strength of the material of the bars, which can be made of copper or aluminum. The parameters can also include the number of bolt, the class of the bolts, the tightening torque, the type of washers, the overlap between two bars. In addition to having such information, manufacturers should explain everything in a technical guide. During withstand tests, the main conductors and insulation must maintain their insulating and mechanical characteristics. They cannot undergo a change in length, cross section, dielectric or conductive properties. See Figure 1 on testing in our laboratory showing the consequence of exceeding the mechanical properties of the insulating support. Figure 1-Example of a failed test. Consider another component type: outgoing circuits and protection devices. IEC 61439 states that these must be mounted as specified in the applicable technical guide and with protection devices installed. Consequently, minimum distances (d) to the front and rear panels as well as to top and bottom of an enclosure and live busbars must be followed. During the test, circuit breakers and other protection devices are evaluated for their ability to save circuits (safety perimeter) and for the effect on the protection devices of arc emissions. For more detail about what’s involved in conducting such tests and ensuring compliance with IEC 61439 for other components like transformers, motors, you can consult a technical guide and work your way through the necessary calculations. Or you can go with an assembly that has been certified by a third party to meet the standard. Schneider Electric has a complete range of main and distribution busbars, short circuit protection and more that do just that in its catalog. For more information on Schneider Electric’s offering, click here.